Freddy Shepherd was a quiet benefactor for a women’s football team for the last 12 years of his life, it has emerged. 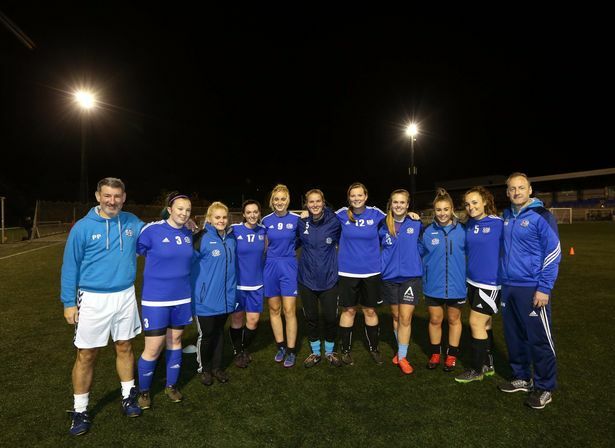 Chester-le-Street Amazons FC, who won promotion in April after winning their county division, paid tribute to the “incredibly special Amazons legend and hero” after his sudden death last month. Former Magpies supremo Freddy, together with his brother Bruce, gave their unsung support to the club from its lowly origins in St Cuthbert’s Primary School through to its emergence as an independent and title-winning women’s team. Club chairperson, Julie Scurfield, said: “One of the dads of the original team worked for Freddy and Bruce, he was going into work every day and they’d ask how the Amazons did, and it was all ‘they lost 15-0 but they were still full of beans’. It took them three seasons to score a goal and four seasons to win a game. “Freddy just wanted to help us out and they contributed to a whole different range of things. If they heard we were struggling they would just give us money and they didn’t ever want any sponsorship. “There was just an ongoing interest and when the girls finally got through to a cup final they all turned up in these grand spanking new tracksuits, paid for by Freddy and Bruce, it was a complete surprise for me.